Prior to becoming a member of the “bookstagram” community, I still considered my reading preferences to be a healthy mix of a variety of genres. I have always been more drawn to historical fiction than anything, but I also love stories about quirky characters (can we give those a genre of their own, please? ), interesting memoirs and autobiographies, and some suspense. However, “bookstagram” has caused me to realize that my typical reading preferences were causing me to miss out on a TON of amazing books, in particular young adult and middle grades titles. I was first drawn to Caleb and Kit after hearing two of my favorite fellow book lovers, Madeleine and Katharine, talk about it. 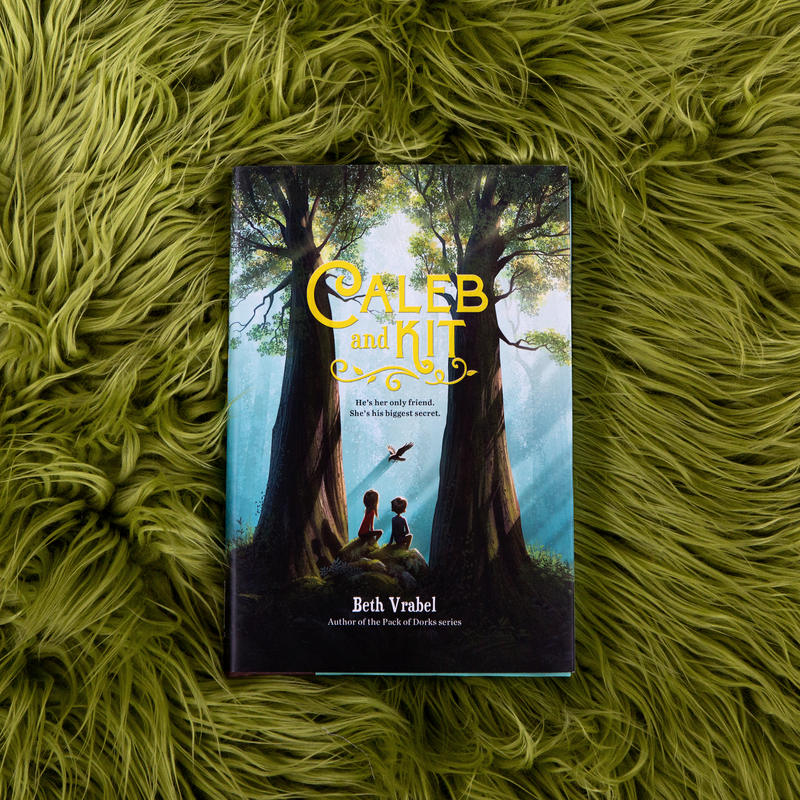 Caleb and Kit is about a twelve-year-old boy named Caleb who is going through a bit of an identity crisis. He is tired of his best friend Brad treating him with kid gloves, his mom being super overprotective, and his older brother being perfect at everything. When he meets a girl named Kit in the woods behind his house, he seems convinced that she’s made of magic. She lives by her own set of rules, and Caleb finds himself skipping summer camp every day to spend time with her and lying to everyone about his new friendship. As their friendship progresses, Caleb learns that Kit’s life isn’t exactly carefree, and the limits his cystic fibrosis places on his own life are there for a reason. I knew this would be a good choice the second that Madeleine and Katharine both began singing its praises. Not only do they both have excellent taste in books, but as someone with cystic fibrosis herself, Katharine’s praise for Caleb and Kit was especially powerful. This book is not a book about a disease, like many books that tackle subjects about physical conditions are. Instead, Caleb and Kit is a powerful story about a boy learning the strength of those who love him and what he believes in…and that boy also has cystic fibrosis. While Caleb’s disease plays a critical role in the events of the book and helps him learn more about himself and those around him, it is not the focus of the book. Readers are able to see that Caleb is a regular twelve-year-old. He navigates the excitement and embarrassment of having his first crush, goes through extreme bouts of moodiness, fights with his best friend, and starts lying to his parents. Throughout the book, readers also learn a great deal about cystic fibrosis through Caleb’s narrative. Beth Vrabel has given Caleb a typical twelve-year-old voice that explains his disease in a way that never feels forced or more grown-up than his character should be. Prior to reading Caleb and Kit, I knew little-to-nothing about cystic fibrosis, except that it affects the lungs. While I am definitely still no expert, Caleb and Kit has helped me learn a great deal more about CF and the effects it has. However, the true message of Caleb and Kit is about love and friendship. Throughout the book Caleb has to make important decisions about his newfound friendship with Kit that have reverberating effects on those around him. As a kid, he fails to appreciate the sacrifices his mom has made in order to give him the best life possible, and his resentment toward his older brother is appropriately self-centered for someone his age. However blind Caleb may be to the love his family has for him, readers are able to see clearly what is going on long before Caleb starts to understand. Readers are also much more aware of the truth of Kit’s situation long before Caleb starts to understand, and the decisions that Caleb has to make as a result are the culmination of this story of growth and sacrifice. In order to do what’s best for Caleb, all the people in his life make sacrifices out of their love for him. When Caleb has to do the same for someone else, he finally starts to understand those around him. Beth Vrabel has crafted a magical little book full of important lessons about growing up, doing what’s best, and doing what’s right. This book is a valuable read for adults, and middle school (and older) kids will absolutely adore it as well. Posted in Fiction, middle grades fictionTagged Beth Vrabel, book review, Caleb and Kit, Fiction, fiction review, middle grades book review, middle grades fiction, Running Press KidsBookmark the permalink.